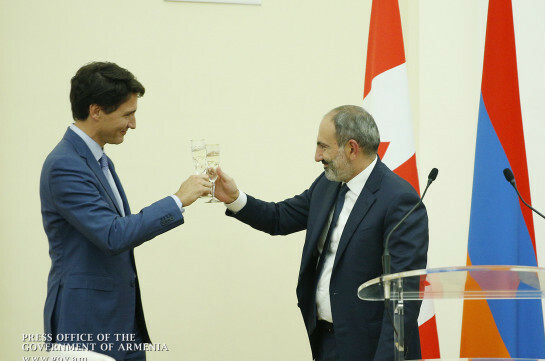 An official dinner was served on behalf of the Armenian Prime Minister Nikol Pashinyan in the honor of Prime Minister of Canada Justin Trudeau. Raising a toast, PM Pashinyan stressed that he is hosting a very honorable guest about who during the recent days he hears one formulation – “piece of light”. “It happens very rarely when a person is the same on screen, on photos and in reality. It expresses the most important strive of a person – to be real, to be surrounded with real people, to have real authorities, real government who are living in reality, who understand the real issues and are able to speak about the reality,” the PM said. “Mr Trudeau is one of the unique leaders in the world whose appearance in the political arena and heights marked the new tendency when all the protocols, fakes, lies are being replaced with truth, reality and frankness. 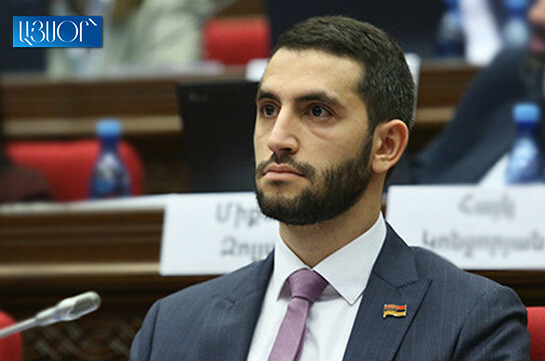 I think it is really very important and it is the most significant thing people want to see,” the Armenian PM stressed. In response toast, the Canadian PM stressed that the official dinner did not look like official at all. “It seems as if we are sitting with relatives and it was to be so. I am very happy to get familiarized with the path your country has chosen, and I welcome you for it. Currently many countries regress in their democracy, give in to populist ambitions and register regress in general. While today, you persistently and proudly move in a right direction toward democracy,” he stressed, congratulating the Armenian PM and people on his and on behalf of Canadian Armenians. “I am happy today not to represent our delegation only but the Canadian Armenians among who I have many friends,” Trudeau said. He also noted that the Armenian PM successfully confronted French challenge and hosted all the delegations of the Francophone summit with pride and honor and with his French. “We have just recently hosted the G7 summit and I know from our own experience what huge organizational efforts are necessary for the conduction of such summit. I must say that you did it with honor, and I want to express my special gratitude to the whole team of organizers. I was very pleased to communicate, to talk with you, and I want to thank you all for the partnership, for the way we are to pass together,” Trudeau said.